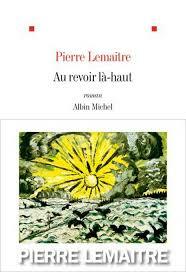 The latest addition to my website is Pierre Lemaitre‘s Au revoir là-haut (The Great Swindle), the winner of the 2013 Goncourt Prize. The story starts in the last week of World War I, when all parties are awaiting the armistice. However, Lieutenant d’Aulnay-Pradelle wants his last chance at glory and promotion. He sends two men out on patrol and then kills them, pretending that it was the Germans that did it. His men are now eager to attack. During the attack Albert Maillard is buried under soil but is rescued by the badly injured Édouard Périgord. Maillard looks after Périgord, helping him change his identity, as he does not want to see his family again, and caring for him. Meanwhile Pradelle has married Périgord’s sister and used his father-in-law’s connections to make money out of the war, in particular by being responsible for burying the French war dead in large cemeteries but cutting corners and cheating on the contracts. Meanwhile, things are not going well in postwar France for Albert and Édouard, till Édouard hatches a clever plan. It is an excellent story, well told, even if not great literature. It has not yet been translated into English but Maclehose Press, who have already published one of Lemaitre’s books in English and will be publishing two more next year, plan to bring out a translation in 2015. They tell me that they have not yet decided on an English title. I hope they can improve on my literal translation from the French. Lemaitre has produced a modern classic. Look at the way he pays tribute to some of the greatest 14-18 war fiction ever written. The structure of his novel mirrors that of Celine’s “Journey to the end of the night”. His imagery too reflects his debt to Celine, while elements of Chapter 1 are very reminiscent of Remarque’s “All quiet on the Western front”. This is no way suggests that the novel is derivative, but stresses a continuity of vision linking Lemaitre to his illustrious predecessors. The lessons that emerge? War creates monsters. Government euphemises and distorts the truth about all wars. The general public quietly laps up these lies because to denounce them would leave us facing a truth few have the strength to contemplate. Thanks. A good suggestion. When the work has not been officially translated into English, I tend to use a literal translation, to make it easier to link it to the original but yours would make an excellent translation for the official title. Tried adding a few ideas, but had my submission blocked by your system for being “too spammy”. So much for my professional opinion! Sorry about that. I get on average 95 spam comments a day so I have various spam filters to deal with this. As far as I am aware, yours is the first genuine comment to have been caught. I am guessing, though I have no idea, that my spam filter might have been put off by your Yahoo email address. Thanks for your comments. I have not read Alex. 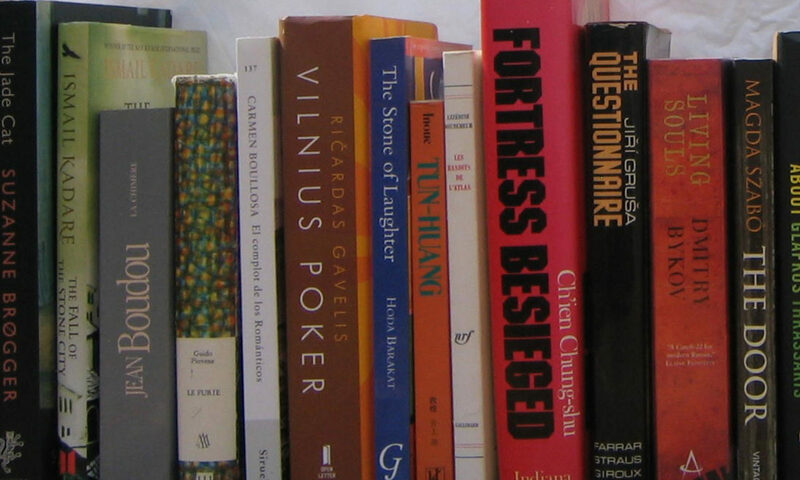 His first novel – Travail soigné – has been translated into Russian as Тщательная работа and Alex and Sacrifices (as Irene) have been translated into English. I have read Au revoir là-haut. My initial enthusiasm disappeared after a while and I really forced myself to get to the last page : the first chapter was excellently written but the events grew more and more unlikely, there were too many coincidences, etc. As a translator from English into French, I will be very interested to read the English translation: whoever is doing it will certainly need to have a perfect understanding of every day French phrases, colloquialisms, etc. or have a French person working alongside him/her. Perhaps the English version is already available? It is not yet out in English but Maclehose Press will be publishing an English translation later this year. Thank you for the information about the forthcoming release of the English version. Does Maclehose Press have an e-mail contact address? I’m intrigued to see what title will be used in English as “Au revoir” is not used here in the sense of “Goodbye” but in the sense of ” revoir” = ” see again”, i.e “we’ll meet again up there”. The title is The Great Swindle. It came out in September 2015, it seems. Thanks. I had noted the English edition on the main site (https://www.themodernnovel.org/europe/w-europe/france/lemaitre/aurevoir/) but not on the blog. Now corrected.